Have specific compliance needs? Your LMS technology could be a hindrance. As if the stress of dealing with compliance isn’t enough, making sure your LMS can accommodate your needs in that department is another issue. The fact is, every industry and every company will have different compliance needs that most likely will require customization to some degree. Now, most vendors will talk a big talk and tell you they can customize but buyer beware….always do your due diligence. The technology itself will play a big role in whether or not you can customize the LMS to fit your compliance needs. For example, let’s say you are a company that is highly regulated and leverages a combination of centralized and decentralized learning — meaning each business unit has their own compliance-related content creation, onboarding and training processes while also needing access to centralized resources, training, policies and procedures managed by corporate HR and the training team. Can the LMS you’re considering be configured to accommodate this unique situation? There are a number of different scenarios that must be considered, especially when it comes to the limitations of the technology being used. LMSs generally only capture training that is performed online but what about if you’re a manufacturing company and have field workers? There is a need to be able to track what is happening outside the LMS. This happens a lot in the healthcare industry as well when employees take continuing education courses outside of the LMS. Can your LMS be customized to capture this critical information? And, as a result, the LMS must be customized. SO WHAT IMPROVES CUSTOMIZATION FOR SPECIFIC COMPLIANCE NEEDS WHERE TECHNOLOGY IS IMPORTANT? 1. Permissions. Per our example above, permissions is a big deal when you’re dealing with complex compliance needs. Some LMSs simply cannot be adjusted so that each business unit can provide their own training without interfering with the corporate-wide LMS. 2. Security. When you’re dealing with compliance, you most likely will require a high level of security as well. Some technology simply will not be able to offer the level of safety needed. For instance, some companies simply will never be able to use a cloud LMS option. Therefore, an on premise or hybrid solution must be considered. Outdated technology is another problem. Your LMSs technological infrastructure should allow you to overcome the most common IT challenges that were problematic in the past. The LMS vendor must place a high priority on forward-thinking technologies and trends that make the platform more effective. 3. Automation. A big part of winning the compliance game is utilizing automation. This is standard for many LMSs but in certain circumstances a business may require very granular options. And, the technology must be flexible enough to configure the automation to fit your needs. For example, if you’re dealing with thousands of SOPs that need updating, it would make sense to have your content management directly tied into the LMS so that every time you update a document it also updates it everywhere within the system – streamlining and ensuring the compliance process. 4. Multiple Formats. Compliance is tough enough on its own but then you add in multiple people across multiple locations, departments or even countries and it gets even more complicated. It’s important that your LMS can be accessed in a variety of ways – desktop, mobile, in the field or from a coffee shop…etc. It’s common practice to go into the LMS buying process with a big long list of features you want or need. While this is an ‘ok’ route to go, an even better way to confront looking for an LMS that will meet your compliance needs is to create specific use cases that will address the situation. And, of course, you can then map back the features that coincide. Compliance is not simple or easy by any means. There are industry specific requirements and a whole host of other situations that will play a factor in whether or not an LMS can meet your needs. This is why it’s essential that you include your IT department in the selection process. Trust us, it’s not fun when you spend hours looking for the right LMS only to find out at the eleventh hour that the technology simply won’t allow for what you need it to do. Including the IT department from the start will help save loads of time and assist in better narrowing down your list of LMS options. For instance, as you’re speaking to a potential LMS provider and going through your compliance use cases, the IT person can quickly alert you to any technological issues that could be a concern. And, don’t forget, customization often times comes with additional costs and time associated. The more difficult the technology is to make it do what you need, the more it’s going to cost you. Your IT department will be a major help in staving off this problem so you know from the beginning what you’re working with. While compliance can bring an additional stress to the LMS selection process, it doesn’t have to when you’re prepared. Take these tips and suggestions with you during your journey to find the perfect LMS. ShareKnowledge, excels with the most difficult compliance needs. 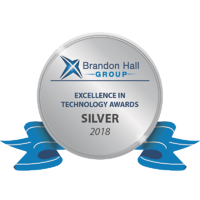 In fact, our case study with Shawcor won us a silver Brandon Hall award for compliance.That is because it inherits most business process and workflows already developed and then enhances them with the LMS feature and functionality required to manage enterprise training programs — turning every SOP, work instruction or content into a trackable, reportable and potentially automatically distributed training resource. And, because ShareKnowledge is built on Microsoft technologies, we can accommodate any security need by giving you the option of deployment - from on premise to cloud or any hybrid scenario. If you think that ShareKnowledge might be a good fit for your business, please fill out the form and a member of our team will reach out shortly.